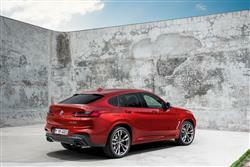 BMW tells us this second generation X4 model is a 'sports coupe'. Whatever your take on that, this sporting crossover is certainly an interesting take on fashionable family motoring. If you can afford the fee, it's a tempting take on the mid-sized premium-badged SUV genre and if you like the looks, then you'll probably like everything else because it's pure BMW. It's even a little more practical than you might expect. True, the world may not need another car like this - but you certainly might. If you're at all familiar with the Munich maker's model line-up, then you'll get the idea behind this car immediately. In 2008, the company brought us a design they badged as the 'X6', a kind of sportier coupe-like version of their established X5 luxury SUV. Against the odds, the X6 has since been a profitable car for the brand, so in 2014, the same concept was down-sized with the first generation X4, a sportier coupe-like version of the squarer, more practical X3 compact SUV. 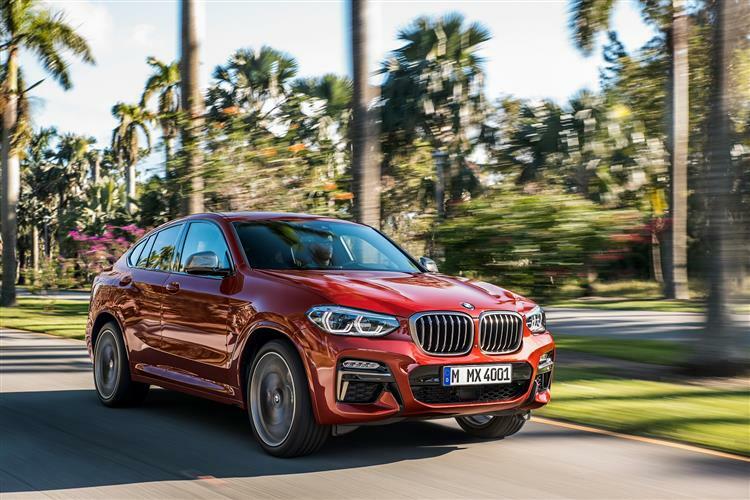 This second generation X4 is very much a refinement of the original, with slightly lighter weight, sharper looks, a classier cabin and a greater level of media and autonomous driving tech. There's also extra cabin space and a larger boot. Sounds promising. As before, the X4 range focuses on diesel power, with most buyers, as before, likely to opt for the volume xDrive 20d variant with its familiar 190hp 2.0-litre black pump-fuelled engine. Next up in the range is the six cylinder xDrive 30d with 265hp. This engine also comes in 326hp form with the M40d model. There's also a top petrol-powered variant for the first time, the six cylinder M40i, with 360hp. 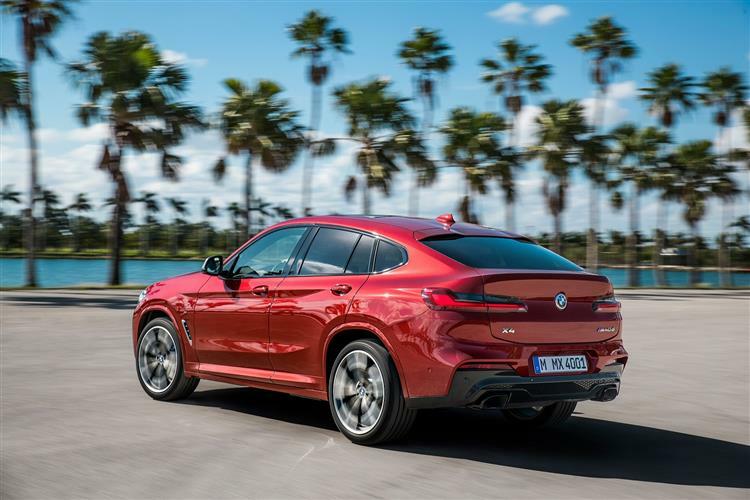 All model variants direct their engine's power to the road via an eight-speed Steptronic transmission and feature BMW xDrive intelligent all-wheel drive as standard. The standard-fit Driving Experience Control switch lets drivers choose from SPORT, COMFORT and ECO PRO set-ups, while six cylinder models also add a SPORT+ mode.You certainly won't lack for performance. 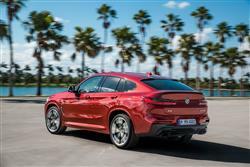 Even the base xDrive 20d variant manages 62mph rom rest in 8s en route to 132mph, figures the six cylinder xDrive 30d improves substantially to 5.8s and 149mph. 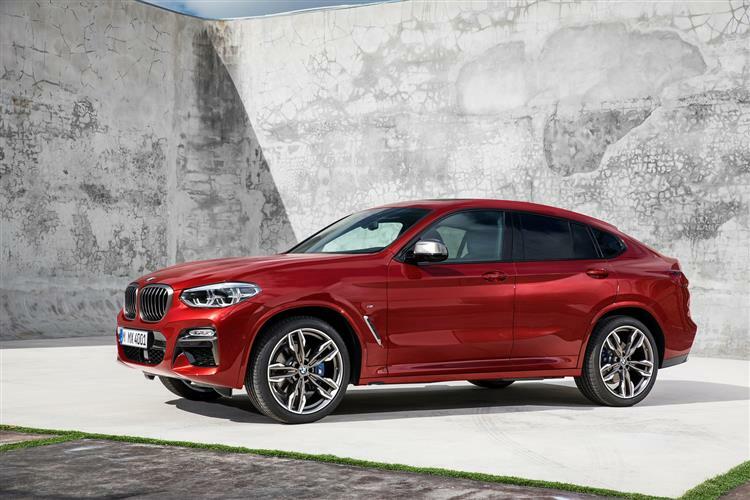 For the M40d, you're looking at 4.9s and 155mph. 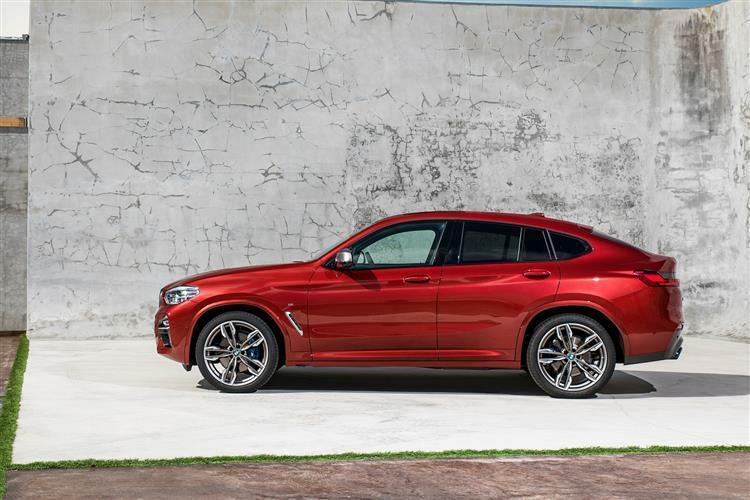 BMW has tuned the suspension of the X4 to offer a more focused feel than that of the X3 and the intelligent xDrive all-wheel-drive system splits drive between the rear wheels continuously, plus as required, optimising traction, turn-in and directional stability. The Variable Sport Steering system is fitted as standard and an xDrive status display makes a bid for what might be the most gratuitous use of graphics in a car with the three-dimensional display of the car's body roll and pitch. This second generation X4 is 81mm longer than its predecessor, with 54mm added to the wheelbase and 37mm of extra width. It is also lower by 3mm. All of these elements come together to give it dynamically stretched proportions that emphasise its perfect 50:50 weight distribution and hint at the enhanced performance potential. It retains the brand's trademark BMW kidney grille and twin headlight units, while the smarter horizontal LED fog lights integrated into the outer air intakes form a fresh interpretation of the familiar X model face. All models feature Adaptive LED headlights as standard. The side profile is marked out by a sweeping shoulder line, with clearly defined haunches and distinctive wheel arches. Inside, there's now more of a premium feel to the driver-focused layout of the cockpit. Vernasca leather upholstery is standard and top-class materials, precise build quality and a host of meticulously crafted details set the tone for what BMW hopes is this model's more individual character. Three full-size seats are fitted in the rear compartment, providing passengers with an additional 27mm of legroom over the previous model. Don't expect to get quite as much boot space as in an X3 but 525-litres should be enough and there's the versatility of 40:20:40 split-folding rear seats, plus the standard-fit automatically opening tailgate makes loading easy. Prices start at around £43,000 for the base xDrive 20d, which represents a step up from the previous generation line-up. 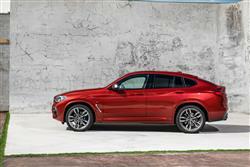 That's quite an ask, but BMW seems very confident it'll find buyers for the X4. The top M40d variant costs just over £55,000. Still, it's not as if this Munich model needs a whole lot of extras. Even the SE trim gets an automatically opening tailgate, Variable Sport Steering, 18-inch light-alloy wheels, front and rear Park Distance Control, Performance Control and Xenon headlights. That's on top of a Sport leather steering wheel, heated front seats and BMW's Business Media package. A far wider choice of optional extras compared to the outgoing model offers greater scope for X4 personalisation. The range includes electrically adjustable seats, heat seating for the front and rear and active seat ventilation. A panoramic glass roof with much larger dimensions than before is available, plus side acoustic glass. Another interesting option is the BMW Display Key. Fuel level, remaining range and service information are all shown on its 2.2-inch touch display, while the key can also be used to lock the doors, close the windows and operate the optional auxiliary heating system. If you've heard talk that diesel engines are planet-polluting brutes, then shelve that for a moment while you examine the black pump-fuelled powerplants on offer here because they're nothing like that. BMW's raft of technological measures includes turbochargers with variable inlet geometry and common-rail direct injection systems operating at pressures of up to 2,500 bar. All model variants comply with the requirements of the EU6d emissions standard. And the brand talks of significant weight savings this time round - an average of 50kgs. Enough with the tech; what about the figures? 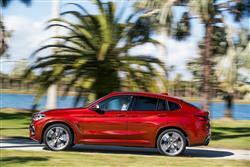 Well, the X4 xDrive 20d variant most will choose manages 52.3mpg on the combined cycle and 142g/km of CO2. Move up to the six cylinder xDrive 30d model and you're looking at 47.9mpg and 156g/km. Even the M40d manages 44.1mpg and 170g/km. Want to know about the petrol M40i model? Well that returns 31.4mpg and 209g/km. What else might you need to know? Well, routine maintenance is dictated by 'Condition Based Servicing' that monitors oil level and engine wear, taking into account how long it's been and how far the car has travelled since its previous garage visit. You can check all of this using menus in the 'iDrive' centre-dash display and the car will give you four weeks' notice of when a check-up is needed so you have plenty of time to book it. To help plan ahead for the cost of regular work, at point of purchase you'll be offered a 'BMW Service Inclusive' package that lasts for three years and 36,000 miles. Inevitably, a model of this kind will continually divide opinion. The people who don't like it will tell you to buy a cheaper, more practical X3 - but then they're probably the same people who can't see the point of anything prioritising style over substance. In any case, this X4 does have substance to its proposition - at least when it comes to efficiency, quality and low running costs. It's even reasonably spacious and practical. Don't be dissuaded then, if you'd like one. This may not be quite the sharpest dynamic contender in its segment but it's still an astonishingly rewarding steer for something based on SUV underpinnings. Yes, there's an element of compromise in its packaging but the world would be a dull place if we only bought cars on a pragmatic basis. File this one under 'unexpectedly likeable'.